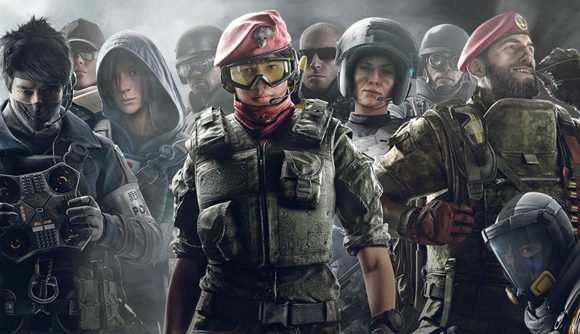 Rainbow Six Siege fans have been waiting a long time for info on the upcoming Year 4 content, and now Ubisoft has confirmed that we’ll get those details at the Six Invitational, which is what we expected. But this year’s rundown of new content is set to run much longer than it has in the past, leading many to speculate whether the developers have something extra to unveil. The Six Invitational kicks off on Friday, February 15. The content reveals will take place on Sunday, February 17, starting at 9:00 PST / 12:00 EST / 17:00 GMT with the Year 4 roadmap. That’ll last 45 minutes to an hour, then we’ll have the All Star game before getting into the 30 minute season reveal at around 10:30 PST / 13:30 EST / 18:30 GMT. That’s an unusual amount of time for Ubisoft to spend on the roadmap, and far more than the company has done in the past. Exactly why that’s happening remains a matter of pure speculation. It could be that the developers just want to lay out content plans for the year in detail, but many fans are hoping something substantially different might be coming this time – like Operation Health 2.0. It’s unlikely that another season’s worth of bug fixes and technical upgrades will come our way straight off, given the increasingly undeniable volume of leaks suggesting that Year 4 will kick off in Australia. Or hey, maybe Ubisoft’s going to devote the entire weekend to discuss the rework of our Lord Tachanka. The official site has more details on the Six Invitational schedule, including who’s competing and when those matches are taking place. We’ll find out for sure what’s coming to Siege this year in about two and a half weeks.